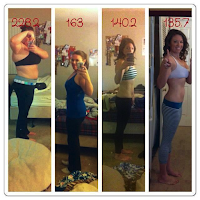 Erica's physical transformation is amazing, but her mental transformation has been life changing. She has learned how to deal with triggers, stressors, and emotions in healthy ways through utilizing her complementary support systems and Health Coach. She hit her goal in February 2013 losing 88lbs! During transition she lost another 5lbs and has kept it off for a year and counting! She now views life through a different, brighter lens. Would you like some assistance in adjusting the way you view yourself and your environment? Give me a call today and I'll help you get started! Laughter - One of my favorite subjects! New online class every Monday night!